Gujrat has 3 Nishan-e-Haider Awards out of total 10 awards. Nishan-e-Haider may be translated as emblem of Haider (Hazrat Ali R.A.). It is the highest military award of Pakistan and awarded to those officers or soldiers of Pakistan Armed Forces (Army, Navy, Air Force) who shows extreme braveness and courage to defend Pakistan. Following three soldiers of Pakistan Army were recipients of Nishan-e-Haider who belongs to Gujrat. 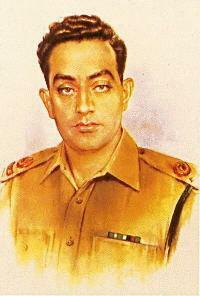 Major Raja Aziz Bhatti Shaheed was born in Laadiyan, a village near Gujrat. He got Nishan-e-Haider during the India-Pakistan war of 1965. Click here to read more details about Raja aziz Bhatti Shaheed. 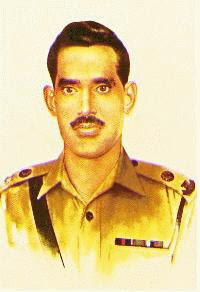 Major Muhammad Akram Shaheed was born at Dinga, a village of Gujrat. He got Nishan-e-Haider during the India-Pakistan War of 1971. 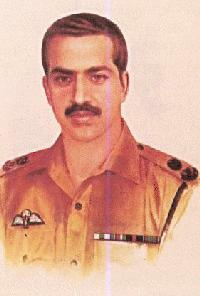 Major Shabir Sharif Shaheed was born at Kunjah, a town of Gujrat. He also got Nishan-e-Haider in the war of 1971. To Know more about Gurat Please keep visiting this weblog.